We have been trying to expand our hockey inventory for the past few months and we have found some great vintage hockey cards that we are very glad to finally be getting online. 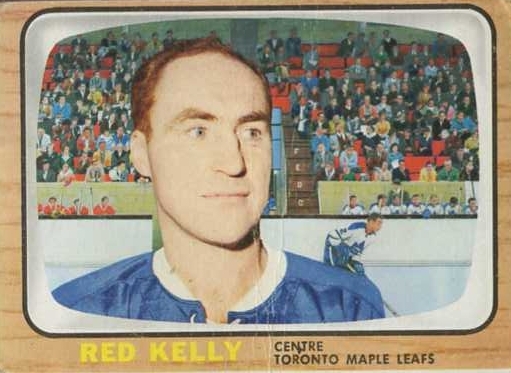 So far, one of the most interesting sets has been the 1966-67 Topps hockey cards. 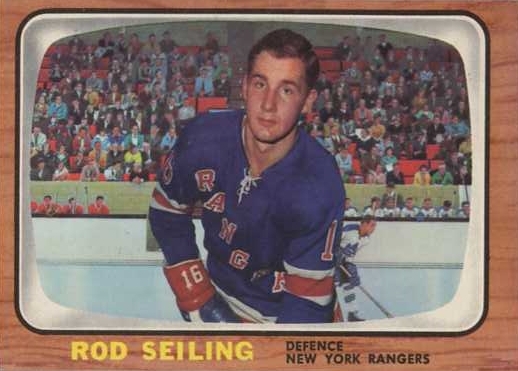 Prior to 1966, O-Pee-Chee, working under an agreement with Topps that allowed them to borrow the Topps name, was dominating the hockey card market. The only competition came from the Parkhurst sets in the early 1950's. 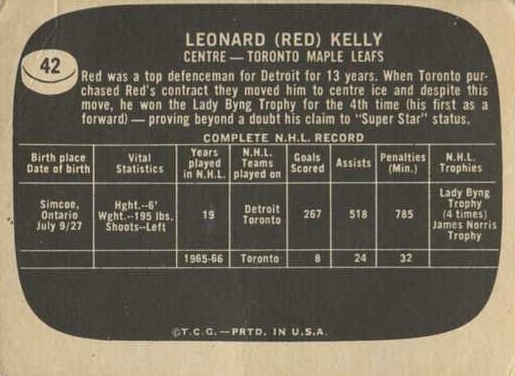 Topps saw the chance to enter the hockey card market in the United States. Under the Topps name, O-Pee-Chee printed a set for distribution in the United States. 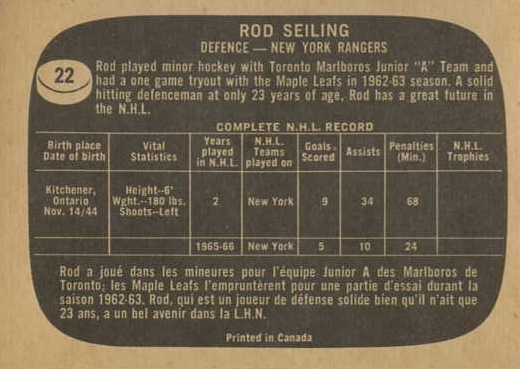 The differences between the Canadian O-Pee-Chee version and the U.S. test version are the presence of the French translation on the back of the Canadian cards and the familiar Topps copyright line on the back. The O-Pee-Chee cards have the phrase "Printed in Canada" instead of the Topps copyright line. Additionally, the Canadian issue includes 132 cards, while the Topps test issue consists of only 66 cards. The most notable difference between the cards is the price. The average Topps test issue common card is roughly 5 times more expensive than its Canadian counterpart. #35 Bobby Orr is a particularly expensive card. Although Topps would go on to issue many more hockey card sets in the United States, this is definitely one of our favorites.